Krystyna Janda. An actress, producer, columnist, artistic director of two Warsaw theatres, president of Krystyna Janda’s Foundation For Culture. She is a graduate of the State Fine Arts Secondary School and the State Drama School in Warsaw. She has also graduated from the Music School of the First Degree and the Ballet College at the Warsaw Operetta. Krystyna Janda made her debut during her studies. She played Masha in “The Three Sisters” by Anton Chekhov in the TV Theatre performance. Her theatre debut was the role of Aniela in “Maidens’ Vows” in the Ateneum Theatre and then the role of Dorian Gray in “The Picture of Dorian Gray” by Oscar Wilde in the Mały Theatre. She played her first film role was in Andrzej Wajda’s “Man of Marble”. Since the 80ties, she has been continuously acting and working. She has played more than 60 roles in various theatres: from Antiquity through Shakespeare to the contemporary theatre repertoire both home and abroad. In her repertoire there are many monodramas, each of them successful. She has played over 45 roles in the TV Theatre spectacles both classical and contemporary. She has also starred in 50 feature films. Krystyna Janda is the winner of various awards and distinctions granted both in Poland and abroad. She has been awarded a Gold Palm during the Cannes Film Festival for her role in the film “Interrogation”. She has been also awarded the Medal of Charles the Great in the field of culture for her contribution in the process of unification of Europe. Krystyna Janda acts, sings, directs, writes articles, keeps an Internet diary and publishes CDs and books. Several times she has been awarded the title of the Best Actress in Poland. In the late 90ties she was awarded the title of the most distinguished actress of the century of the Polish cinematography by the magazine Polityka. In 2005 she took up a challenge of creation the theatre functioning independently from the state structures which has altered the theatre reality in the country. To this purpose she established the Foundation of Krystyna Janda For Culture of which she is president and funder. Her foundation has established two Warsaw theatres: The Polonia Theatre and the Och Theatre. In 2014 she was awarded a title of The Person of the 25 Years of Freedom in the field of culture. 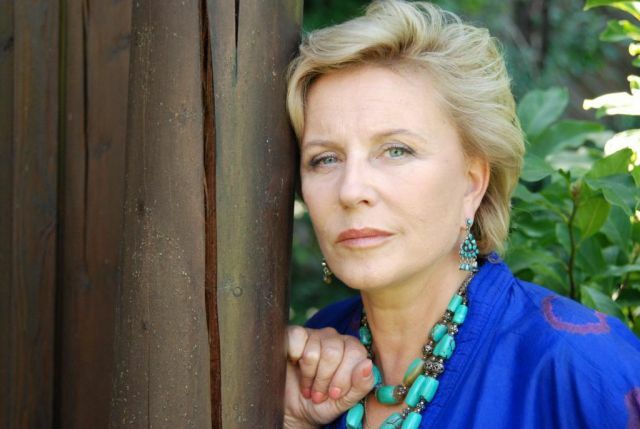 Krystyna Janda (born 1952) – theatre and film actress. She made her debut in Andrzej Wajda’s widely discussed film ‚Man of Marble’ (1976), and later starred in ‚Man of Iron’ (1981), ‚The Ten Commandments, Parts 2 and 5’ (1988), ‚Dad’ (1995), ‚Early Spring’ (2000, also known as ‚Spring to Come’). A versatile actress, she is excellent in both tragedy and comedy, a wonderful singer and cabaret artist. ilm KRYSTYNA JANDA language versions: polish english One of Poland’s most popular theatre and film actresses. Also a director of theatre productions and films. Born on December 19, 1952, in Starachowice. Janda is perhaps the only actress in Poland to enjoy star status. She has a vast number of fans whose admiration for her surrounds her with an aura resembling that which surrounded artists who enjoyed public favor during the „star era” of 19th century theatre. She owes her status to both powerful performances and a strong character that shines through in every role she undertakes. Janda „(…) always plays a certain character she created at one time, imbuing every one of her roles with that character’s traits. Her acting is highly expressive, her temperament energetic. She manifests ideological engagement and is at times manneristic” (Jan Klossowicz, „Slownik Teatru Polskiego” / „Dictionary of Polish Theatre,” Warsaw, 2002). Janda studied at the State Higher School of Theatre in Warsaw, obtaining her degree in 1975. She debuted on the professional stage in 1976 at Warsaw’s Teatr Ateneum (Athenaeum Theatre) as Aniela in Aleksander Fredro’s SLUBY PANIENSKIE / MAIDENS’ VOWS directed by Jan Swiderski. In 1974, while still a student, she was cast in Aleksander Bardini’s legendary television theatre production of Anton Chekhov’s THE THREE SISTERS. Her enchanting and truthful Masha marked the beginning of her career in Polish Television Theatre, where she would go on to appear in several dozen more productions. Her film career developed in parallel. Janda debuted very successfully in Andrzej Wajda’s CZLOWIEK Z MARMURU / MAN OF MARBLE, in which she played Agnieszka, a young, dynamic and stubborn film student who strives to reveal the truth about former leading laborer Mateusz Birkut, played by Jerzy Radziwilowicz. This duo appeared once more in CZLOWIEK Z ZELAZA / MAN OF IRON (1981), a film in which Wajda built on the story of the previous film in exploring the roots of the „Solidarity” Trade Union movement. Janda worked with Wajda on several more occasions. She played the minor character Agata in his filmBEZ ZNIECZULENIA / ROUGH TREATMENT (1978), and once again featured in his DYRYGENT / THE CONDUCTOR (1979), in which she played the young violinist Marta, fascinated by the older, mature conductor John Lasocki, portrayed by John Gielgud. At the turn of the 1970s and 1980s, Janda also appeared in a number of Piotr Szulkin’s science fiction films, including GOLEM (1980),WOJNA SWIATOW – NASTEPNE STULECIE / WAR OF THE WORLDS – THE NEXT CENTURY (1981) and O-BI, O-BA, KONIEC CYWILIZACJI / O-BI, O-BA, THE END OF CIVILIZATION(1984). 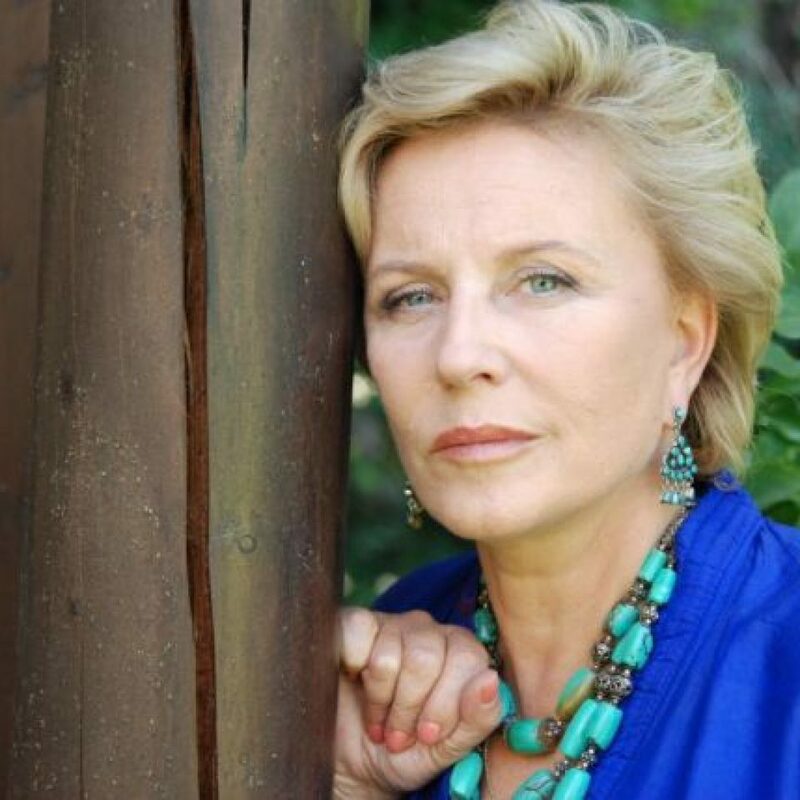 One of her significant international successes came with her appearance in Istvan Szabo’s Oscar-winning MEPHISTO of 1981, in which Janda played Barbara Bruckner alongside Klaus Maria Brandauer. But her greatest screen performance was as Antonina Dziwisz in Ryszard Bugajski’s PRZESLUCHANIE / INTERROGATION (1982). It was in that film that Janda created an engaging portrait of a human being who, as the director says, „wishes to be free, independent of the cost.” This performance gained Janda numerous awards, including a Best Actress distinction at the Cannes Film Festival. 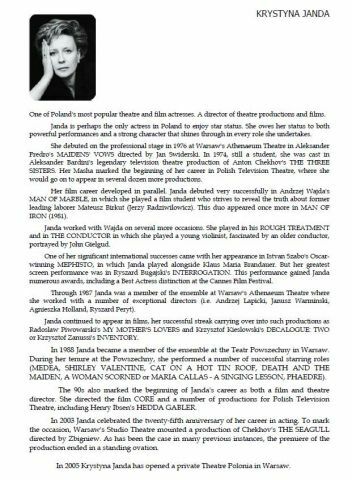 Through 1987 Janda was a member of the ensemble at Warsaw’s Athenaeum Theatre, also appearing on stage from time to time at the Teatr Scena Prezentacje (Presentations Stage Theatre). During her tenure at the Athenaeum she worked with a number of exceptional directors. Significant roles included Dorian Gray in a production of John Osborne’s PORTRET DORIAN GRAY / THE PICTURE OF DORIAN GRAY, based on Oscar Wilde’s story and directed by Andrzej Lapicki (1976), Nina in Chekhov’s MEWA / THE SEAGULL directed by Janusz Warminski (1977), and Vi in Pam Gems’ DUSIA, RYBA, WAL I LETA / DUSA, FISH, STAS AND VI directed by Agnieszka Holland (1978). She played Jenny in Bertolt Brecht’s OPERA ZA TRZY GROSZE / THREE PENNY OPERA directed by Ryszard Peryt (1980), and at the Teatr Scena Prezentacje she twice played the role of Heloise in Ronald Duncan’s ABELARD I HELOIZA / ABELARD AND HELOISE as directed by Romuald Szejd (1979, 1984). Apart from these highly varied theatrical roles, Janda continued to appear in films, her successful streak carrying over into productions like Radoslaw Piwowarski’s KOCHANKOWIE MOJEJ MAMY / MY MOTHER’S LOVERS (1985) and Krzysztof Kieslowski’s DEKALOG II / DECALOGUE: TWO (1988). Janda also appeared in a bit part in Kieslowski’s KROTKI FILM O ZABIJANIU / A SHORT FILM ABOUT KILLING (1987) and put in a more significant performance in Krzysztof Zanussi’s STAN POSIADANIA / INVENTORY (1988). On the silver screen, Janda offered complex, psychological portraits of contemporary women – from the „entertaining” Krystyna, who remains in conflict with her own young son, in MY MOTHER’S LOVERS, through the violinist Dorota, torn between passion and fidelity to her husband in DECALOGUE: TWO, to Julia, a woman attempting to make a life for herself in a relationship with a younger man in Zanussi’s film. In 1988 Janda became a member of the ensemble at the Teatr Powszechny (Popular Theatre) in Warsaw. „In essence, the Miss Julie we observe on stage is a figure who reveals the doubts and hysteria she has previously hidden from those around her, traits that consistently lead her towards tragedy, and ultimately to suicide. This role is indubitably difficult, but also immensely fascinating,” wrote Lech Sokol about Janda’s first role at her new theatre in a review of Andrzej Wajda’s staging of August Strindberg’s PANNA JULIA / MISS JULIE („Teatr” / „Theatre” monthly, 1988, no. 4). „Hübner and Janda have succeeded at a daunting task, namely, that of constructing a deep, none too psychologically simple motivation for the actions of the mythological heroine. Their construction has turned out to be shockingly contemporary” („Teatr” monthly, 1988, no. 7). In 1990 the actress featured in yet another Andrzej Wajda directed stage production, William Gibson’s DWOJE NA HUSTAWCE / TWO FOR THE SEESAW, in which she played Giselle Mosca. „Wajda has found excellent performers in Krystyna Janda and Piotr Machalica. Janda plays a certain nervousness (but without her sometimes irritating mannerisms deriving from ‚Man of Marble’), and she proves capable of being lyrical at times. Underlying her singular primitivism is a longing for a different, better life, for which she struggles and which she simultaneously fears” (Wojciech Dudzik, „Rzeczpospolita” daily, February 20, 1990). „The actress has strongly worked through Malgorzata Semil’s translation, making it fit her lips ideally in its entire commonness, colloquial tones, brevity and vulgarisms. She has invested tremendous energy in an effort to bring out Shirley and make her a sympathetic character for viewers. At times, this comes across as catering to the public, as if the purpose was to elicit chuckles of approval and comments like ‚damn, she’s babbling away.’ However, this was only up to a point. Confident of the sympathy of her audience, the actress complicated the image of her heroine, revealing her insecurities, complexes concealed under boastful talk. (…) The performance I saw ended with a standing ovation. Supposedly, Krystyna Janda is thanked by her audiences in this manner evening after evening – for her performance and for the joy of hope she provides” („Polityka” / „Politics” weekly, 1991, no. 9). Janda continues to perform this one-woman show to the present day, over twelve years since it premiered. After SHIRLEY VALENTINE, Janda continued to take on starring roles. She played the lead parts in productions of tested contemporary and classic plays. In 1992 she portrayed Margaret in Tennessee Williams’KOTKA NA ROZPALONYM BLASZANYM DACHU / CAT ON A HOT TIN ROOF directed by Andrzej Rozhin (1992), appearing alongside Piotr Machalica and Henryk Machalica. „Everything seems to indicate that the actors were chosen for their names to ensure the production’s success, because this staging has no other merits. (…) In watching the scenes, one has the impression that the director has done nothing to challenge the actors, allowing them instead to be guided by their experience, intuition, if not merely by their routine. This is especially true of Krystyna Janda’s performance. Those who have seen her in ‚Shirley Valentine’ or ‚Educating Rita’ are sure to recognize the character choices they know from those productions. In this case as well, the actress builds the character of Margaret from sharp gestures, characteristic breaks of the voice, a nervousness and trembling of the hands that accompanies the lighting of cigarettes,” wrote Natalia Adaszynska („Teatr” monthly, 1992, no. 4/5). „(…) played Lady Macbeth in a sentimental, teary style reminiscent of South American television soap operas,” wrote review Jacek Cieslak („Rzeczpospolita” daily, May 28, 1996). She also portrayed Maria Callas in Terence McNally’s MARIA CALLAS – LEKCJA SPIEWU / MARIA CALLAS – A SINGING LESSON, directed by Andrzej Domalik (1997). „For two and half hours, Janda-Callas (perfectly made up and costumed) completely commands not only her own feelings (…), but also those of her audience, whom she treats as the observers of a singing lesson, including them in the exercises and dominating them entirely. She proves capable of inducing the audience to react as she wishes, at the moment of her choosing. (…) It is important that Janda portrays this primadonna with noble restraint, largely abandoning the tone of many of her previous roles, her characteristic spontaneity, even the over-excitement that rendered so recognizable her ‚scorned women'” (Aleksandra Rembowska, „Teatr” monthly, 1997, no. 10). Janda also appeared as the lead in Jean Racine’s PHAEDREdirected by Laco Adamik (1998). Her many film roles of the 1990s and later years included such noteworthy performances as Magda in Maciej Slesicki’s TATO / DAD (1995) and Ewa in Robert Glinski’s MATKA SWOJEJ MATKI / HER MOTHER’S MOTHER (1996). She also appeared in Krzysztof Zanussi’s ZYCIE JAKO SMIERTELNA CHOROBA PRZENOSZONA DROGA PLCIOWA / LIFE AS A FATAL SEXUALLY TRANSMITTED DISEASE (2000), Wojciech Marczewski’s WEISER, based on the renowned book by Pawel Huelle (2000), and in Filip Bajon’s PRZEDWIOSNIE / THE SPRING TO COME, a screen adaptation of Stefan Zeromski’sclassic novel PRZEDWIOSNIE / EARLY SPRING (2000). The 1990s also marked the beginning of Janda’s career as both a film and theatre director. She directed the film PESTKA / CORE[aka „The Pip”], based on the book by Anka Kowalska (1995), and a number of productions for Polish Television Theatre, including Henry Ibsen’s HEDDA GABLER (1995), Pierre Corneille’s EL CID(1996), Honore Balzac’s FIZJOLOGIA MALZENSTWA / THE PHYSIOLOGY OF MARRIAGE (1999), Dario Fo’s ZWIAZEK OTWARTY / The OPEN Couple (2000), in which she teamed up with Marek Kondrat to portray an intensely comedic married couple, as well as Michal Balucki’s KLUB KAWALEROW / BACHELORS’ CLUB (2001) and Esther Vilar’s ZAZDROSC / JEALOUSY (2001). At the Teatr Powszechny her directing projects during this period included Ernest Bryll and Katarzyna Gaertner’sNA SZKLE MALOWANE / PAINTED ON GLASS (1993) andWitkacy’s PANNA TUTLI-PUTLI / MISS TOOTLI-POOTLI (1997). During the most recent theatrical seasons, Janda has been working with director Zbigniew Brzoza. She played Karla in his production of Ingmar Villqist’s NOC HELVERA / HELVER’S NIGHTat the Powszechny Theatre (2000) and then surprised audiences with her performance as the title character in Lee Halls’ MALA STEINBERG / SPOONFACE STEINBERG at Warsaw’s Studio Theatre (2001). In the latter production she took on the challenging and delicate task of portraying a character afflicted by illness and challenged by disabilities. „The acting skills of Janda, who on stage transforms from a beautiful woman into a stooping, closed child, places the reviewer in a less than comfortable position,” wrote Roman Pawlowski. „Am I supposed to assess the degree to which the actress has convincingly portrayed actual illness? Should I criticize her for not groaning often enough or for moving about too easily? It would be better for the play if Janda had rejected this naturalism, which instead of helping audiences in experiencing and understanding the true story of this girl conceals this story beneath theatrical form. Because in theatre, illness portrayed by healthy actors is only form, pretense. (…) While the theatrical form of ‚Spoonface Steinberg’ at the Studio is controversial, the entire concept of staging a play of this nature is unquestionable. In a country where disabilities exclude people form society, there is never too much repeating that people with disabilities are people too. Janda once more provides proof of artistic and civic daring – after playing Karla, the guardian of a boy with disabilities in Ingmar Villqist’s ‚Helver’s Night,’ she has this time chosen another social drama, one which reveals the rich spiritual and emotional life of a child afflicted by illness. So when Janda came out for her bows, I stood with the other audience members, because this is an actress who deserves recognition for her courage and her engagement on behalf of the weak and rejected” („Gazeta Wyborcza” daily, October 3, 2001). In January of 2003 Janda celebrated the twenty-fifth anniversary of her career in acting. To mark the occasion, Warsaw’s Studio Theatre mounted a production of Chekhov’s THE SEAGULLdirected by Zbigniew Brzoza and featuring Janda as Irena Arkadina. As has been the case in many previous instances for this actress, the premiere of the production ended in a tumultuous standing ovation. Krystyna Janda was born in Starachowice in 1952. She received her masters degree at the Aleksander Zelwerwoicz State Theatre Academy Warsaw (a diploma in acting) in 1975. That same year she gave her debut performance as Dorian Gray in Osborne’s The portrait of Dorian Gray and later as Sea-Gull-Nina Zarzeczna in Tschecov’s Sea-Gull. She has been acting in films, theatres and various TV productions incessantly ever since. Her film debut was the role of Agnieszka in Andrzej Wajda’s Man of Marble. Janda was a pioneering actress in her depiction of women as active and assertive agents of moral enquiry. She would play a sort of gutsy, restless, outspoken ‘heroine’. She appeared in three other Wajda films – Rough Treatment (1978), The Conductor(1980) and the Palme d’Or-winning sequel to Man of Marble – Man of Iron (1981). Janda was a regular figure in the distopian allegories of societal decay by Piotr Szulkin in the 80s. She has also appeared in films by other ‘morally concerned’ directors, such as Krzysztof Kieslowski and Krzysztof Zanussi, and has often worked abroad, including appearing in István Szabó’s Mephisto (1981). In the past ten years she also proved her talent as a director (among many ‘TV-Theatre’ productions – a full feature film Core). She has performed in over fifty different plays, choosing loosely from all periods in the history of Theatre. Challenging ancient dramas as well as Shakespeare or contemporary (worldwide and polish) repertoire – Janda succeeded in all scenic genre. Willy Russell’s Shirley Valentine and Educating Rita have been played four hundred times. Also all of her one-character-plays grew to be a great success. She has also performed in forty five plays produced for TV-Theatre (a genre very well-known in Poland, a theatre ‘translated’ to the language of television). Nevertheless, her finest performance is said to be the leading role in Eurypides’Medea. Janda is a laureate of almost all important awards presented to Polish artists. The number of other international awards is also impressive: Palme d’Or Cannes for the best actress for Ryszard Bugajski’s Interrogation and The Silver Shell for the best actress in San Sebastian for Waldemar Krzystek’s Dissmissed from life. In her international career one role deserves special attention. Janda’s participation in the Helma Sanders-Brahms’ German/French film Laputa was awarded at the Monteral Festival. The artist has also played in a few TV-series in France and Germany. Janda has not only mastered her skills in acting she is also a great director, singer and a writer. She has published five books and eight albums. In queries carried out by the polish press in late 90s she has been voted the greatest polish actress of the century. One of Poland’s most popular theatre and film actresses. A director of theatre productions and films. powerful performances and a strong character that shines through in every role she undertakes. would go on to appear in several dozen more productions. numerous awards, including a Best Actress distinction at the Cannes Film Festival. In 1988 Janda became a member of the ensemble at the Teatr Powszechny in Warsaw. MAIDEN, A WOMAN SCORNED or MARIA CALLAS – A SINGING LESSON, PHAEDRE). Theatre, including Henry Ibsen’s HEDDA GABLER. production ended in a standing ovation. In 2005 Krystyna Janda has opened a private Theatre Polonia in Warsaw.